There is a lot of valid and practical information produced in organizations about strategic initiatives, goal setting, and engagement strategies. And yet employee engagement within organizations is at best 25–35% no matter the brilliance of the plan. So the question remains, why don’t people engage at work? And what I have found in my research and have witnessed in my own organizational work is that leaders too often try to implement their very meaningful, and well thought out plans before they make meaningful, and thoughtful connections with their people, and therefore engagement, which at it’s core is based on the construction of trust-worthy relationships is seen as secondary, and it’s importance diminished. The result? Lack of consistent implementation. Leaders must learn that if they wish to implement, they must first intentionally connect with their people. Relationships drive engagement, which empowers people, which elevates performance, and increases implementation of initiatives and the willingness to embrace change. Key to the formation of these important relationships is the establishment of trust, and trust is dependent on connecting both cognitively, and at a deeper level, through our hearts, supported by observable behavior in alignment with the connection. 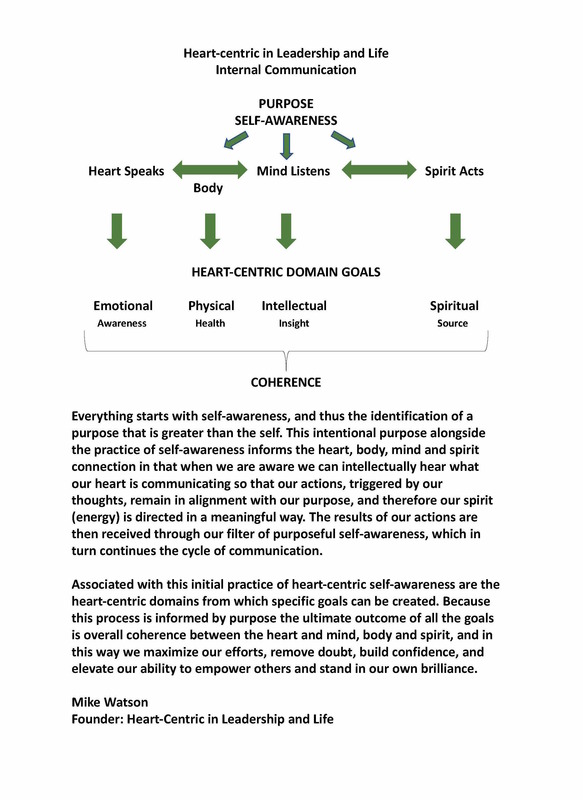 To connect in this way, and thus drive initiatives in a purposeful way with fully engaged people, leaders can use my heart-centric communication model(see below), to learn how to communicate and listen with their heart, first internally, to inform decisions and gain insight, and then to express externally to encourage and engage people in alignment with vision.